My chicken coleslaw is all wrong. Or rather, it seems all wrong. The key component is iceberg lettuce. Or maybe it’s very finely chopped and extremely unfibrous savoy cabbage. Truth to tell, I cannot tell. The chicken – an entire thigh, I think – has been grabbed from the bain marie chook section that looks like it contains the regulation chicken shop variety. But appearances are most certainly deceiving in this case. True, my salad lacks the tangy, lemony zip I am familiar with when ordering this dish from the Vietnamese eateries of Footscray. There’s no fresh chilli slices either, with some level of spice heat contributed by the sticky jam on the side. But the flavours, while on the mildish side, meld together really well. And the textures are full of crunch, too, with plenty of chopped peanuts, fried shallots, cucumber, carrot and more doing a swell job. The modest looking chook is outstanding – it’s of supreme tastiness in the Asian style and there’s a heaps of it. My small serve for $12 – there’s large available for $12 – is a great light lunch. Minh’s is a small but often busy humble lunch spot on Puckle St, right next door to Chiba Sushi Bar. 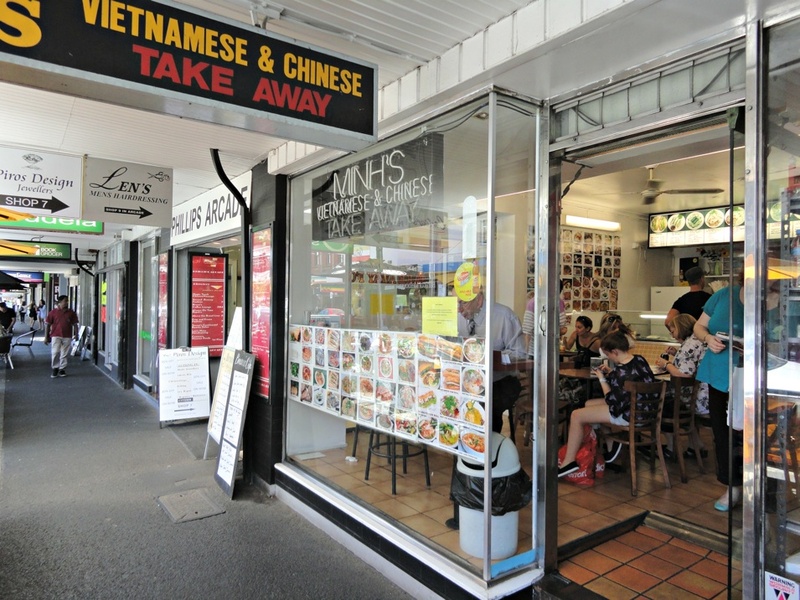 Its goodies – displayed on a big photo spread on one wall and behind the counter – range across a surprisingly wide Vietnamese territory, from pho and rice and spring rolls, through to more generic Asian fare such as Singapore fried noodles. 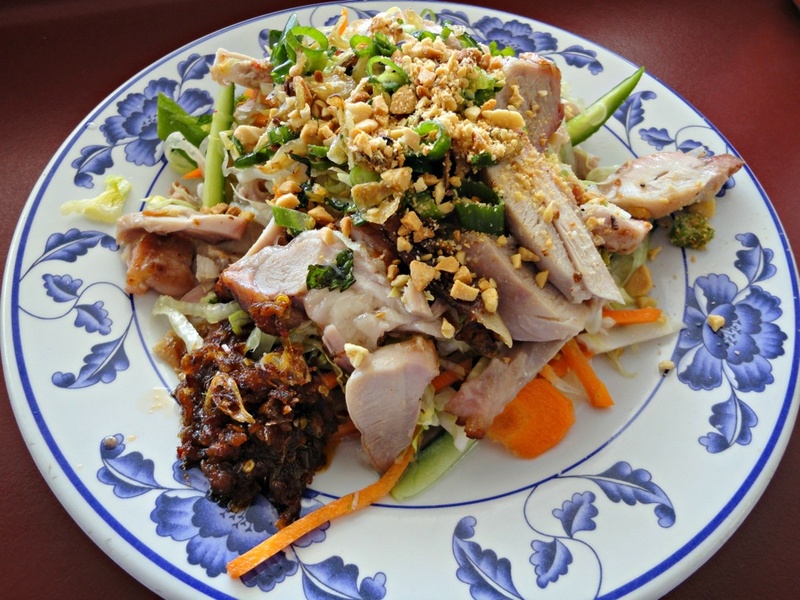 If any of those dishes match the simple panache of my coleslaw, it could be that Minh’s is an easy-to-miss treasure in an area where it often seems classy exotica and spiciness are hard to find and the lines between good, OK and mediocre are blurred.